While retailers love that the month of February immediately calls to mind images of heart trinkets, sentimental cards, flowers, boxed chocolates and romantic dinners, millions of lonely or broken hearts would rather see February 14 deleted from the calendar. They prefer that the Grinch stole Valentine’s Day. 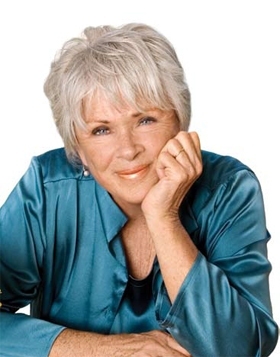 Those unhappy with Cupid’s aim find a friend in best-selling self-help author, workshop leader and relationship guru Byron Katie. Since 1986 she’s been asking questions rather than providing answers in a way that’s changed many lives, including her own. Her approach to healing broken relationships can help even in the midst of crisis. Interviewed throughout the past 20 years by publications such as the Los Angeles Times magazine, Body & Soul, Time Magazine, Inspiration Journal and others, Katie’s simple message of how suffering is created and ended has spread globally to 30 countries. The necessary tools for her transformational method are an open mind and a pen and paper. We asked Katie about her “Work” of answering the “Four Questions” and the resulting turnarounds in perspective that can bring about healthy relationships. Listening in as she thinks through typical relationship scenarios will inevitably open new windows of thought. You say that your most intimate relationship is the one you have with your thoughts. Will you elaborate? Whatever our mind believes, it projects onto others. When we don’t like others, what we really don’t like is ourselves. When we like ourselves, we like everything we project outward, and we become intimate with others rather than separating from them. How do your books and workshops differ from others that tell people how to find love? If telling people how to find love really worked, then everyone would understand. Telling hasn’t been a successful method because the answers are closer and more intimate. The Four Questions that I present allow people to search within, to find their own answers. A deep understanding that comes from a place within, from what you can trust, allows you to take ownership of the realization. When people realize the truth for themselves, they have confidence in it. We can learn from teachers. But keep in mind that you are the teacher that you have been waiting for. How do the Four Questions, your method of inquiry, affect intimate relationships? We are quick to react, judge and attack. We believe our unkind thoughts and don’t communicate from the heart. It snowballs, shutting down our well-being and creativity. An attack might be subtle and pleasantly stated. However, on the inside we feel stressed and misunderstood. For example, my partner doesn’t agree with me so I attack by attempting to make myself clearer. If I am not successful, I become frustrated and think, I am not being listened to or understood. Using the first of the Four Questions, I inquire of myself. My partner doesn’t understand what I’m saying. “Is that true?’ An honest answer to this question can level the communication field. Adopting an open attitude of “It’s possible that I don’t have all the information,” or “I may not fully understand my partner’s comments,” prompts me to ask them to repeat the question. We begin communicating on the same level. The only intelligent way to meet the world is with an open mind and a desire to learn. With your mate, who triggers more reactions than anyone, it’s challenging to maintain the most powerful position, which is as the student. The learner listens with a great sense of curiosity and wants feedback. Before the work, and without the realization that my statements weren’t true, I might have countered my husband’s disagreeing statements with “You always say that” or “You don’t care about me.” Since doing the work, I know that I can’t know that any of those statements are true. Some people believe “If you love me, you’ll do what I want.” Is that true? That belief cuts you off from your partner and lowers self-esteem. Answering the Third Question, “How do I react when my mate won’t give me what I want?” leads to observing how you treat your partner and to recognizing your separation scenarios. For example, thoughts of divorce, not fixing a meal you planned, not speaking to them for the remainder of the day. Finally, I ask myself, “Who would I be without this thought?” Investigating more deeply leads to seeing that, without that thought, I am student and listener—not someone dishing out punishment because I didn’t get my way. I understand that I am living out of what others can give me, or seeing deeper into what it will cost me if they leave. Turned around, the opposite of “If he loved me he would do what I want” is “If I really loved him, I would do what he wanted.” Oh my goodness, that doesn’t fit so well. I stepped into the other’s shoes and now I see myself living as a slave. That’s not love! Consider another turnaround. “If I really loved me I would give me what I want.” If I’m equating doing what I want with love, why don’t I give it to myself? If I am unwilling to give someone what they want, how can I expect them to want to give to me? I learn through such inquiry that I attack because I am confused and conflicted. I’m not aware of myself or I am projecting my flawed thinking onto someone else. I’ve fallen asleep. When we think we are separate from another, we are asleep. Fabulous relationships come from clear minds and clear hearts. Open minds are the keys to open hearts. Recall a time when your heart felt cold and hard and you’ll recognize that in that moment you were stuck. Your mind was closed and entrenched in your belief. Remember a time when your heart was open and you’ll realize that your mind was wide open and receptive. Each of us is responsible for examining what we believe in any moment and for doing the work that allows our heart to live its true nature, which is love. Personalities don’t love. They want something. Love is not giving. It’s not doing. It’s an unconditional experience of the heart that is always there. There is nothing that we can think or do about it. Our false beliefs and attack thoughts argue with the reality of love, costing us our awareness of presence and “what is.” I must make it my life’s purpose to realize that in truth, I love everyone. Until I have that knowing, there is no rest for my mind and the ego rules. Why do we fall in and out of love? We are victims of an internal thought system. We fall in love because we think we share the same beliefs. In spending time together, disagreements show up. I discover that my partner didn’t really agree with me because they were seeking my love and appreciation. I can see this only if I know how to be honest with myself. Four Questions awaken us from the slumber that blinds us to our own lies and deceptions. Being honest with ourselves, we think, my goodness, who is it that I am in relationship with? Love, like the innate smile that rises up unexpectedly, is always there. Unkind thoughts about another that I am in relationship with cover up that smile. How can I have an inherent experience of love if I have fallen asleep, if false thoughts have taken precedence? Why do people most often stay together? People stay together for comfort and security. Look at your own relationships, even with your friends. Recognize the common thread running through all your relationships. Reflect on what you say and do to keep people in your life. We consistently seek love and approval over authenticity. Look closely and you’ll notice how you trade your authenticity to keep people in your life. Without love and approval what we have or what we want is threatened. It all comes down to me, me, me. How does your upcoming book expand on concepts you’ve already introduced? My new book, A Thousand Names for Joy: Living in Harmony with the Way Things Are, is based on my husband, Stephen Mitchell’s, translation of the Tao Te Ching, a 2,500 year old Taoist text. As he read each chapter aloud, I commented on what the wise sayings were like for me and how my internal life lived itself out of them. A master of translating thoughts into beautiful prose, Stephen condensed mine into sentences that clearly captured the essence of my meaning. Any advice for lovers as well as singles this Valentine’s? Open your heart and love yourself. Open your mind. Allow your heart to live and question any thoughts that argue with reality.